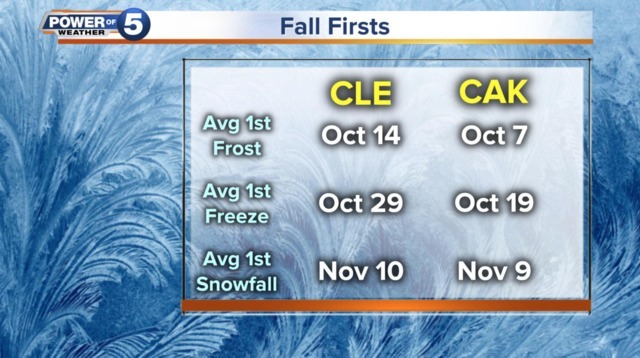 It's the question everyone in Northeast Ohio has been asking— when will we see our first snowfall of the season? We could see a couple rounds of light snow that would leave a dusting to light accumulation over the weekend. The amount of snow won't be significant, but it may be enough that you will notice a light coating on your car, deck or driveway. The arrival of snow is hitting on the right day we "typically" see snow or the average day over the last 30 years. Temperatures will start to take a dip on Thursday with a high near 43 degrees.